The 2013 French Open, a world famous tennis tournament, took place from May 21 to June 9 in Paris, the capital of France. Rafael Nadal (from Spain) beat David Ferrer (also from Spain) to win the men’s singles final. This is the 8th time Nadal has won the French Open in the last 9 years. Serena Williams (from the USA) beat Maria Sharapova (from Russia) to win the women’s singles title. The last time Williams won this title was 11 years ago. The French Open is one of the four Grand Slam tennis tournaments (the other three are the Australian Open, the US Open, and Wimbledon). The French Open is played on clay-top courts. The French Open is also referred to as “Roland Garros”, and is held in a stadium with the same name. 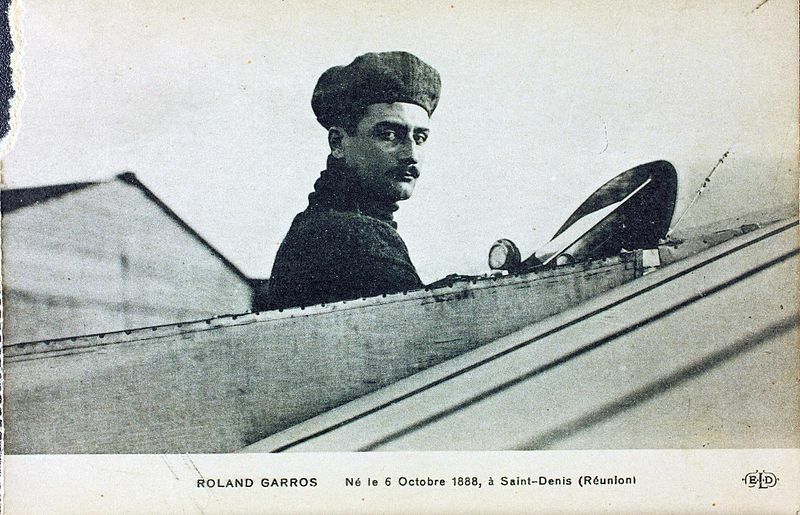 Both are named after Roland Garros (see image), a French man who was the first person to fly a plane over the Mediterranean Sea from Fréjus, a town in southern France, to Bizerte, a town in northern Tunisia, on September 23, 1913. The trip took him almost 8 hours. This September will be the 100th anniversary of his famous flight, and a group of aviators are planning to fly the same route as he did. Bizerte, Tunisia is the northernmost city in Africa.